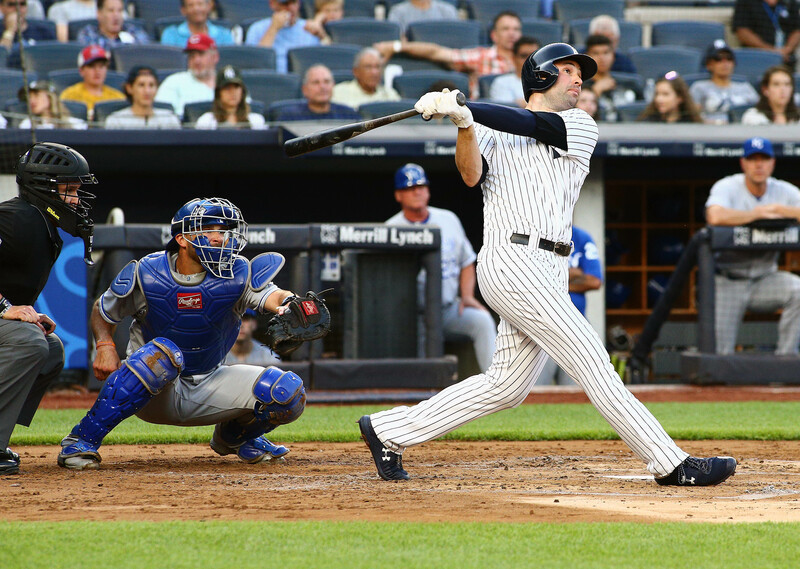 New York Yankees utility man Neil Walker has reportedly signed a one-year deal with the Miami Marlins, for two million dollars. Entering this off-season, there became a lot of talks about the Yankees possibly resigning him for another year. Before the Yankees got Troy Tulowitzki and had announced they had serious interest in Manny Machado, Walker may have been an option to start the season at second base while Gleyber Torres shifted to Shortstop to fill the shoes of the injured Didi Gregorious. In 2018, Neil Walker had statistically his worse season after getting off to a dreadful start, before finally picking it up just before the all-star break. He hit .219. had an OBP of .309, and had a slugging percentage of .354, all career lows. Though he did have several clutch hits to start rallies and a couple walk-offs. He wasn’t able to really get it going until he saw more of a role with the team. He first saw an everyday role when Gleyber Torres saw DL time in July, then playing some RF when Aaron Judge was injured and Giancarlo Stanton needed to rest or DH to nurse hamstring tightness. Walker had previously not seen OF action, but needed to when the team was in a ‘next man up mentality’. He also learned how to play third base after Brandon Drury had gone down with an early season injury, and knowing that they may need help on defense with Andujar having fielding skills that need development. Walker will serve as a veteran in another utility role in Miami, but most likely playing more first base. Ex-Yankees Starlin Castro and Martin Prado occupy second base and third base, and the most support will be needed at first base. The Marlins no longer have a true first baseman after they traded Justin Bour to Philadelphia, now signing with the Los Angeles Angels. The Marlins have a very young, underdeveloped team that needs veteran support and all-around depth. I know that Walker would much rather play for a contender, but this is a good fit for him.